This natural blend is the most effective outdoor blend ever Developed! Our family has never been bitten when wearing this blend, its truly amazing! Same effectiveness as the original DEET Buster but with a new refreshing Lemon-Vanilla scent that even the kids will love! Already pre-blended in fractionated coconut oil and ready to use as is for best effectiveness but can be diluted down with more fractioned coconut carrier oil if the odor is too strong (just be aware that diluting reduces the effectiveness). 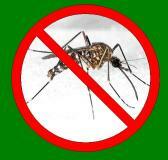 Be safe and DEET-free on your outdoor adventures! (DEET has been shown to be toxic to some people, even resulting in death in children. To learn the truth about DEET please be sure to read the link at http://www.mindfully.org/Pesticide/DEET-Diethyltoluamide.html). This is a proprietary natural blend and we do not disclose the oils in it. This blend uses fractionated coconut oil as a carrier so its not recommended for use in a diffuser.